12 Oz. 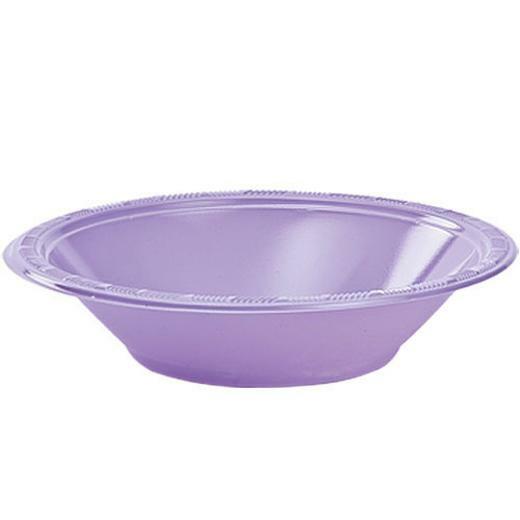 Lavender Plastic Bowls - 50 Ct.
Great for birthday parties, baby showers, and more! 12 Oz. Lavender Plastic Cups - 20 Ct.
9 In. Cerise Plastic Plates - 50 Ct.
Our collection of disposable, high quality plastic bowls are certain to meet all of your party needs.. Poly coated for glossy finish, all of our 12 oz. plastic bowls are water resistant. Great for birthday parties, baby showers, and much more!